Indians lost opening game then reeled off 20 victories in a row to capture Class B girls lacrosse state championship. When it comes to the Manhasset girls lacrosse team, there’s no such thing as seniority. If you practice well and show your worth, coach Danielle Gallagher will find ways to get you playing time. Consider this spring season Exhibit A. 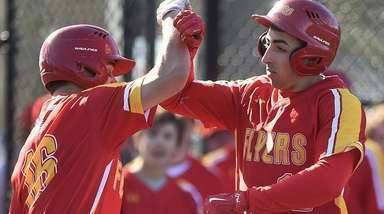 When Maryland-bound senior Madison Rielly was lost early in the season to an injury, the Indians responded with a complete team effort. 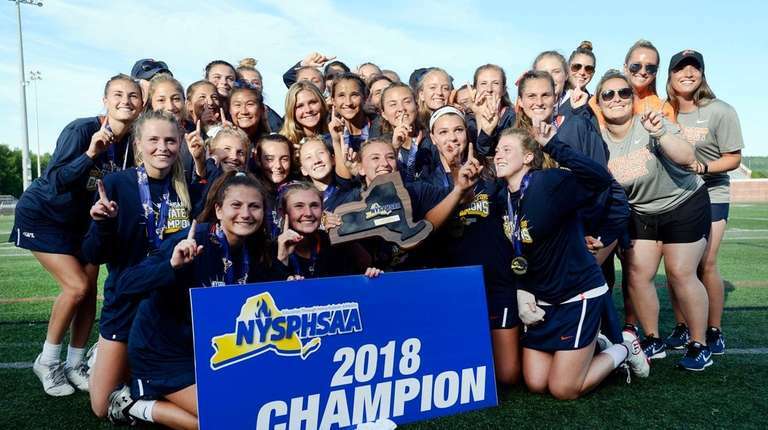 It culminated in a state Class B championship, the team’s first state crown since 2014. Manhasset enjoyed contributions from all levels. 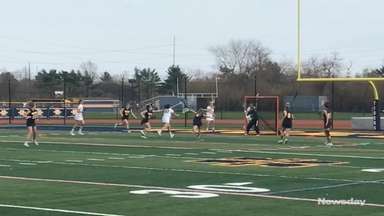 Grace Gately, a freshman, scored arguably the team’s biggest goal of the year, an overtime winner against Eastport-South Manor to win the Long Island Class B championship. Emma LoPinto, another freshman, scored 35 goals. Shea Garcia (47 goals), Kelly Trotta (54) and Maria Themelis (18) also contributed. Senior midfielders Maggie Beresheim and Katie Bellucci excelled between the 30s, and goalkeeper Krissy Kowalski anchored a staunch defensive unit. 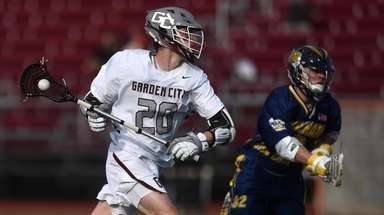 Kowalski said losing the season’s first game to Cold Spring Harbor — Manhasset’s only loss in a 20-1 campaign — inspired the team to play up to its potential. 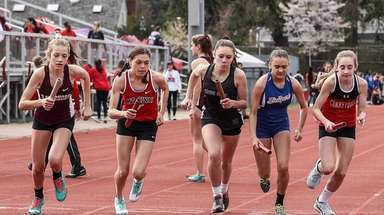 Erin Trotta (Kelly’s twin sister), Olivia Dooley, Casey Roszko and Caroline Mondiello credited their experience playing together for multiple years as one of the reasons why they didn’t buckle. They didn’t need help bonding, but Gallagher said a March trip helped bring everyone together. 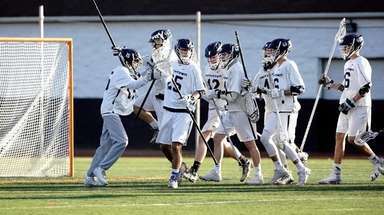 That love of sport encouraged Manhasset players to work to earn their roles, and there wasn’t a single player that overshadowed another. When one got faceguarded, another three stepped up to score. That’s why Manhasset was so tough to beat. And even though it started off on the wrong foot, the Indians bounced back to win 20 straight games and a state title. And if someone told Kowalski that Manhasset would be a state champion after that start?